In this article I am going to analyze the issue of pyramidal shapes and that both already known pyramids in Egypt, as well as pyramidal shape of smaller buildings such as pyramids of wooden or metal structures most commonly built as a relaxing and healing space. And gradually we come to even smaller pyramids which can stand on the table. They are interesting because they are connected to the electric current and in the middle are electromagnets. But we do not stop at this size and progresses to even smaller pyramids, their uniqueness is adding different minerals. But even that will not stop us and we will reduce pyramids to interesting discovery in own brain and most often in the cerebellum which is the smaller size of a tennis ball in the back of the brain. According scientific research cerebellum contains neurons in the shape of a pyramid. And here begins all interesting around pyramids. Here we have micro pyramids inside of ourself with properties and forces of great pyramids. As we continue further into micro world of pyramids, we stop at the element or rather Gallium nitride compound which forms a pyramidal crystalline structure and is used as a basis of modern LED lights. And so there will be a variety of giant pyramids and micro pyramides up at the nanoscale. Reiki person must gradually learn to concentrate into the brain and specifically to the cerebellum at the back side of the brain which is divided into two parts left and right and each of two parts consist of 10 smaller parts. For us is important to contain the highest concentration of pyramidal neurons. Likewise, we use oracular techniques to seek persons who have in the cerebellum and also outside it in own body particularly large pyramidal neurons. As you may know or guess and feel the cerebellum is the center of Jewish Kabbalah. We can penetrate into the cerebellum through Siamese twins who are conjoined just through uniquely brains. And, naturally, their cerebellums have learned to communicate together. You rehease this system of communication and you will be able to communicate with any other brains. You can reach enormous capacity of neurons for the purposes of intellectual activity. You get into the cerebellum well through reading Jewish literature. In case of Light Reiki we will take care of own permanent concentration into pyramidal neurons in our own cerebellum. It is even appropriate to transfer permanent consciousness of the forebrain into the cerebellum. This can be accomplished just by reading the Old Testament, the Zohar, the Talmud and the Sefirot. When reading this kind of literature, of course, you try to concentrate to the cerebellum. In principle, true Kabbalah is carried out precisely in the cerebellum. Concentration to the cerebellum supports the suggestion and belief that you have tumors in the brain. Thus, in fact we can find the continuation of cabbalistic techniques focused on the brain. 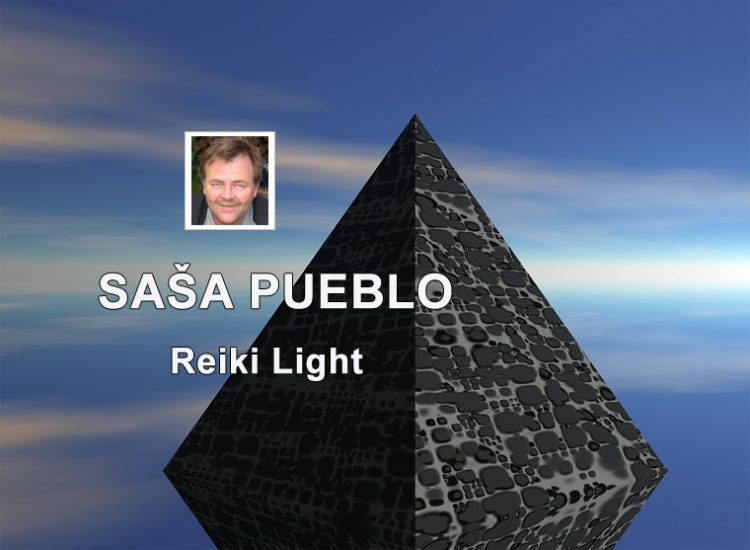 In the cerebellum is the most pyramidal neurons and Reiki light is practically the continuation of cabbalistic practice. Of course, it´s necessary to get used to cabbalistic signs and thus Jewish characters are not common font. It is not only the font as in Latin. Kabbalah are also letters and numbers which have certain numeric values, they also have their color expression, its acoustic form and its magical ritual. Thus, letters of Jewish alphabet have their ritual form as a pictogram where one character or group of characters mean a certain idea, a certain mission and its tradition. The basis of kabbalistic lettering is the creation of geometric connections of stars in the sky. Training and spiritual path into the cerebellum can continue as the idea that the cerebellum is the basis of neurons connection to other cerebellums in order to gain neurons capacity for intelectual performance. But also cerebellum can be the basis of oracular techniques with focus on obtaining information. This is the connection of the cerebellum of Reiki master to microobjects of spherical shape which are produced by damaged brains of some people who regularly fall into the clinical death and their brain is unable work normally therefore produces microobjects on the level of 10 raised to the power of minus 20 meters. Reiki person could acquire them and train as the base of own oracular techniques. Spirit bubble objects have a certain intellectual potential and they are able to learn, to acquire, evaluate and organize information about an activity. It is assumed that if you want to organize such a spirit bubbler, you have already trained early stages of clinical death. The interest of Reiki person is to seek persons who have abnormal density of pyramidal neurons in the cerebellum. And this is ideal if you find individuals who have small cerebellums over the whole body. And this is ideal persons for consecreation to Reiki Light. Of course, it´s necessary to put into effect collective treatment where you connect a number of individuals with extreme amounts of pyramidal neurons. Or pyramidal neurons are extremely large. And the ideal is if they also produce light in the form of photons. In old times wasn´t clear what is happening inside of pyramids. Cheops pyramid was first posthumous tomb and its pyramidal shape wasn´t deliberate process. Pyramidal shape was ideal and met machined stone blocks. First pyramids were masses of piled rocks. Then there were brick pyramids and pyramids with another finish as Cheops pyramid. Of course, ancient Egyptians used inside of pyramids for purposes of consecration. Certainly they felt that this is the rapid way to get into pyramidal neurons of the cerebellum. And in principle in ancient Egypt esotericists and magicians of that time penetrated into own cerebellum and so they created higher forms of own intelligence. Science in our time quite accidentally confirmed that pyramidal shape produces unique effects and force that even sharpen dull razor after shaving. This is not negligible. Remote connectin on tourist guides who continually years and years go to pyramids and accompany tourists passing by is interesting. It is truly an experience to tap into these guides and let them work on own cerebellum and pyramidal neurons. We need stronger source on initiation into pyramidal neurons therefore we look for persons who conduct activities around pyramids. At the same time they add enhancing features to pyramides such as pyramidal shapes and minerals to a different type and shape. Pyramidal shape and so-called dragon veins underground. This is certain tectonic faults magnetic fields of the planet Earth. The most effective activation of pyramidal neurons occurs in individuals who build metal pyramids and venturing electric current into the pyramid and place the pyramid inside an electromagnetic source what enhances the shape of the pyramid itself. We are interested in such person who is devoting to this. It is good to find more such experimenters. Distant connection on such persons allow better mentall penetration into own pyramidal neurons and control light effects in them. You can try to bridge pyramidal shape and people who work with pyramids and this experience move to anomalous failure in Perm, Russia. Alternatively pyramidal effects and feelings transmitted to fallen meteorites areas. For Reiki light is wise to let forces from inside to act on own bones and radiation used in the pyramid follows the activity of the brain in the bone. Bone brain is understood as neural structures in bones of own body. And then you give pyramids radiation into seance. This is the effect of a spiritualist circle with a circular table and causes astral projection or astral beings and to bridge it with people who are practically engaged pyramidal effect. Pay attention when building astral being from bones with the help of pyramidal effects. Astral being should include information about your health, longevity and stable psyche. Please note if astral being is created unprofessionally from bones than later can get out of your control and start working against you. Globus pallidus is the structure in the brain – part of basal ganglia which are involved among many other things on the regulation of movements which occur at a subconscious level. Damage of globus pallidus can cause movement disorders as seen in some people with progressive neurological disorders. Globus pallidus is involved in continuous fine regulation of movement which allows people to walk, talk and engage in a range of other activities with minimal interruption. In anatomy is extrapyramidal system neural network which is part of motor system and causes involuntary movements. Extrapyramidal areas are mostly found on the reticular formation of pons and medulla and target neurons in the spinal cord. Specialized Reiki from Japan which activates cerebellum and pyramidal neurons in the form of light in it. Accumulation and Reiki energy spin in a circle or spiral. And then there is the opportunity to do pyramidal shape. One of Reiki systems in Japan which directs into the cerebellum and pyramidal neurons. Simple pyramid with home condenser and two coils, stimulated with a magnet that is located in geometric center of metal pyramid will produce a significant amount of current which is sufficient to run a small fan. Performance is measured on a 12 volt, 4/1 amp or 3 watts. Alexander Golod created a 150-foot-tall pyramid laminate in Russia and began his strange experiments. Lectures about pyramid power, basic information about their history and energy. The shape of the pyramid collects and focuses gravity and magnetic field, this force is called pyramidal power. Californian researcher Peter Grandics shows how the antenna along lines of Great Pyramids of Giza can transmit the force of atmospheric electrostatic discharge pulses to resonant circuit which converts random impulses. Gallium nitride (GaN) is very hard binary semiconductor, mechanically stable, high heat capacity and thermal conductivity. In its pure form is resistant to cracking and can be deposited in a thin layer on a sapphire or silicon carbide. Gallium nitride compounds also tend to have a high dislocation density. They can be made by chemical vapor deposition on nanofibers of zinc (30-200 nm in diameter). They are mostly semiconducting. Scanning electron microscope (SEM) is a type of electron microscope that forms images by scanning focused beam of electrons. Electrons by interaction with atoms in the sample produce different signals which contain information about the sample. Pyramidal neurons have the ability to integrate information and this ability depends on amount and distribution synaptic inputs which they receive. Devil sea is located in Pacific ocean near Japan coast and this is the place with a number of unexplained phenomena including magnetic anomalies, strange lights and objects and mysterious disappearances. According Japan fishing authorities this area is even considered dangerous. The Bermuda Triangle is an area in the Atlantic Ocean between Bermuda, Puerto Rico and Florida. There is air and sea disasters, mysterious disappearances of ships and aircrafts which have still unexplained reasons. Break or dislocation is discontinuous fragile geological fault (fracture) in the earth’s crust along which was and today is a movement of separate fracture rock block. Relocation may be only a few millimeters, but the size can reach hundreds of kilometers. Plate tectonics is complex science theory which pay attention to dynamic system development of tectonic plates on the surface of Earth following processes and the structure of Earth’s mantle. The uppermost layer of the Earth called lithosphere is, according to this theory broken on few parts. These parts could move towards each other due to the plastic asthenosphere which is below them.